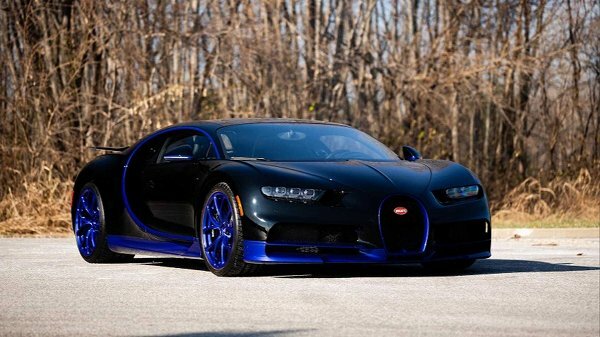 Bugatti Chiron #795072 was 1 of the first 100 cars delivered by the factory to the United States. The menacing Nocturne body is spectacularly adorned with a two-tone Sprint Blue Effect livery on the lower body panels, signature line, horseshoe grill, the base of the wing mirrors, underside of the spoiler, and the wheels, which house massive black calipers. The combination is as stunning as it is unique. The cockpit is clad in full Beluga Black leather with silver stitching throughout. With only the 365 delivery miles on the odometer, the hypercar is essentially brand new. 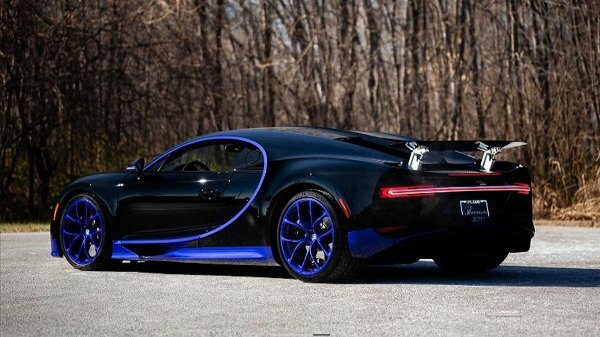 The car was delivered to the official Bugatti dealer and has never left their care. All recommended services, including the first annual service which was performed on November 29th, 2018, have been carried out by the selling dealer, and the car remains under its factory 4-year Worldwide Warranty until September of 2021. To ensure that immaculate Nocturne and Sprint Blue paint remain in their factory delivered state, the majority of the car has been wrapped in a transparent protective film, commonly known as a clear bra. To further protect the vehicle for the elements, after the clear bra was installed, the entire body and the wheels were coated with Ceramic Pro – a multi-layerable, clear, liquid nano-ceramic coating acting as an additional clear coat. Although virtually impossible to detect, if the next owner desired, the clear bra and coating can very easily be removed at any time. Accompanying the car is the window sticker, build records, service records, photos of the vehicle being assembled at the factory, and the stainless steel flight case full of the factory supplied extras. Its pristine beauty would be a high-performance exclamation mark to any collection, but this car deserves the ownership of a serious motoring enthusiast. There is no other automobile that so deftly combines such ferocious performance with the premium levels of comfort and driving ease. As Ferdinand Piëch once suggested, his Bugattis would be cars that can rule the autobahn by day and then attend the opera that night. This exquisitely optioned example in a stunning custom livery is the epitome of hypercar achievements. 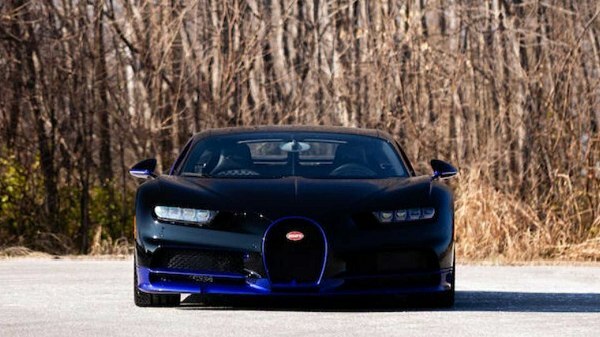 Its sale presents an incredible opportunity to acquire what many consider to be the ultimate road-going machine.